For 16 years Lord Carnavon and Howard Carter searched Egypt for the lost tombs of the Pharaohs. Finally in November 1922 their dream came true; they uncovered the burial chamber of the great King Tutankhamun! This momentous event was reported exclusively by The Times newspaper. 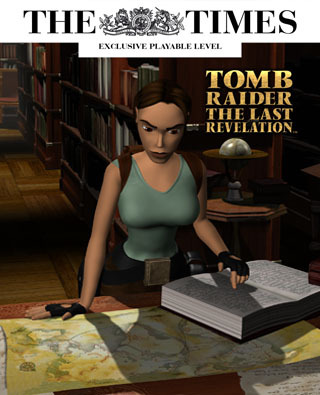 100% free level with two small Tomb Raider 4 based puzzle games. Celebrate the 75th anniversary ('99) of Sir Howard Carter's discovery of Tutankhamun's tomb. The Last Revelation's playable title screen - as a stand-alone level. Explore a newly discovered area of King Tutankhamun's tomb. Various enemies such as crocodiles, mummies and beetles.